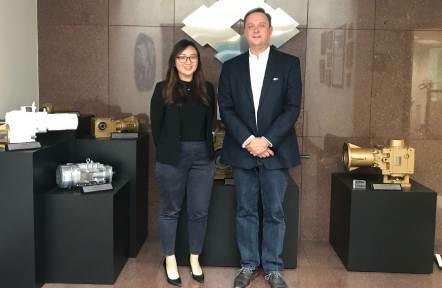 Responsible for the entire North and South America markets, Sumitomo Machinery Corporation of America (SMA) has always been a vital component in the international operations of its Japanese parent company, Sumitomo Heavy Industries (SHI). And looks like SMA’s decision to establish its headquarters in Chesapeake, Virginia has contributed a lot to its continuous growth. SMA opened its 100,000 sq. ft. facility in Chesapeake in 1988 following a decision to relocate from New Jersey. With a subsequent surge in sales, the company expanded its factory just three years after, allowing it to double its manufacturing capacity and output. Then in 2008, it opened a distribution center in Suffolk, Virginia in order to streamline its supply chain. On its third decade in Chesapeake, Sumitomo announced another 100,000 sq. ft. expansion to its existing base, an investment that is estimated to cost $10 million, raise production and generate new jobs. “The city itself was very instrumental in keeping Sumitomo here. They’ve continued to support us throughout our expansions and investments,” said SMA President and CEO James Solomon, who values the support and policies from the government. “We have a good infrastructure here with the highway system, sea port, and Norfolk International Airport. The labor force is a very good mix of employees and we've had the benefit of attracting skilled workers without much difficulty,” Solomon added. Given its sustainable success in the state, Sumitomo sees no reason to relocate again. “We’ve been here for 30 years and we see this as our permanent home. Sumitomo is here to stay in Chesapeake,” Solomon said.